I know, I know, I’ve been lax in keeping up the ongoing FernGEEK Films articles. But this week’s been so huge with film news in the lead-up to the San Diego Comic Convention (Henceforth SDDC), I couldn’t help but bring some of the best stuff to you now. 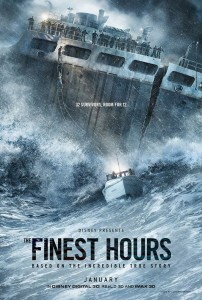 While it may look like Captain Kirk and Nero have gone back in time to battle the ocean, in something which smacks of A Perfect Storm 2: Storm Harder, Chris Pine and Eric Bana lead a solid cast in a true-life adventure, The Finest Hours (not to be confused with the recent Aussie apocalypse flick, These Final Hours), about a US Coast Guard rescue effort to save sailors from their sinking vessel way out off the coast. Oh, and there’s a storm. You can see the poster for the film to the left (Click to embiggenerize) and the trailer is embedded below. I’m not quite sure how it’ll go with a dual character narrative – those stuck at sea, those sent to rescue them – but The Finest Hours is helmed by Fright Night remake director Craig Gillespie (he also helmed Lars & The Real Girl), and the trailer looks enthralling, if not altogether exciting. 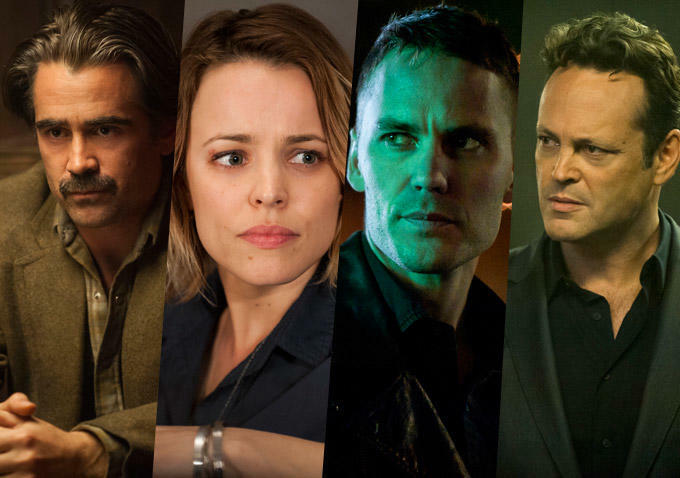 The film also stars Casey Affleck (Interstellar), Ben Foster (Lone Survivor), Josh Stewart, Graham McTavish (The Hobbit), and Holliday Granger. So the latest news from all things in that galaxy far, far way, include news that the as-yet untitled Han Solo origin flick will be directed by wunderkind helmers Chris Miller and Phil Lord. If those names ring a bell, it’s because you may have seen a few of their projects, including Cloudy With A Chance Of Meatballs, the 21 Jump Street franchise, and a little-seen film called The Lego Movie. Exactly who the guys are looking at to play a younger, pre-A New Hope Han Solo is anyone’s guess, although typically of internet scuttlebutt, everyone from Chris Pratt to Chris Pine and the ubiquitous Aussie everywhere man, Jai Courtney – and yes, the last one was a joke. Still, a Star Wars film directed by two guys who have had a hit with every film they’ve made? And can turn even the silliest ideas into commercially viable blockbusters? Consider me in, all the way. 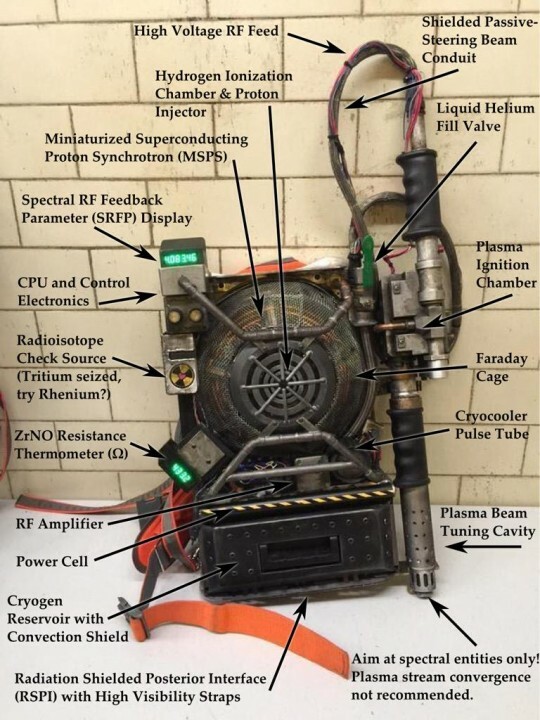 And if that wasn’t enough, word out of SDDC is that the script for the film will be written by fan-fave Lawrence Kasdan, as well as his brother Jon. Lawrence co-scribed work on Empire Strikes Back, and had a significant input into the upcoming The Force Awakens. And speaking of Rogue One, rumor has surfaced this week that Darth Vader himself may play a role in the story; since the film is about the Rebel’s stealing of the Death Star plans (you know, involving Manny Bothans) so it’s likely that Vader could play a Boss Level presence on the film. Interesting rumor! Also, it would appear that Disney’s slate of Star Wars films has been leaked onto the internet, as the below pic will show. 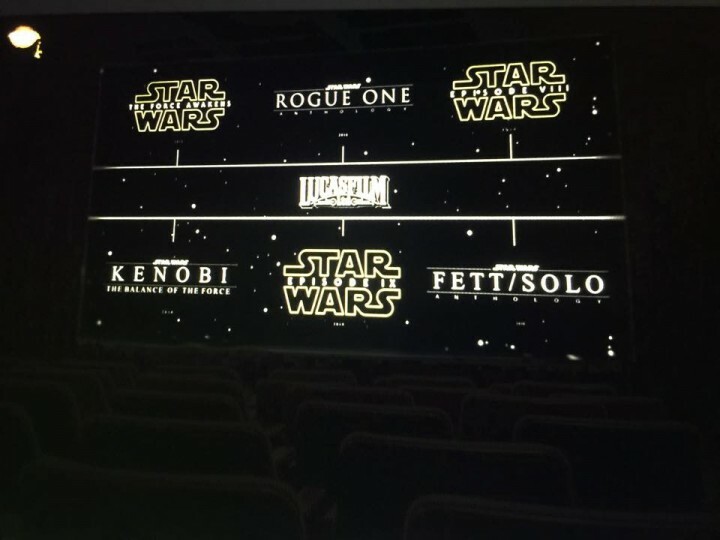 Included is the placings for the tentpole films, Episodes 7,8, and 9, whilst we can see the already announced Rogue One in place, as well as the Han Solo & Boba Fett anthology film, and an Obi Wan Kenobi anthology film, subtitled The Balance Of The Force (which, scuttlebutt had as Ewan McGregor being thoroughly interested in reprising the role somehow). News from the Marvel juggernaut continues to roll in. Mostly, some casting news, and set pics from the current filming of new series. First, the biggest news of the last week or so was the announcement of exactly who would take over from poor Andrew Garfield in the role of the teen web-slinger, and that enviable task has fallen to Tom Holland, a young Brit better known as one of the young kids from the Naomi Watts-Ewan McGregor flick The Impossible. Holland will appear in Marvel’s upcoming Captain America: Civil War, as well as a to-be-written stand-alone, Sony-produced film which will remove the character from the previous Andrew Garfield continuity. Also among the casting news was today’s announcement regarding the character of Aunt May (previously played by Sally Field in the Garfield Spidey films, and Rosemary Harris in the Sam Raimi films); Academy Award winning actress Marisa Tomei (What Women Want, Before The Devil Knows You’re Dead) will now play the role. 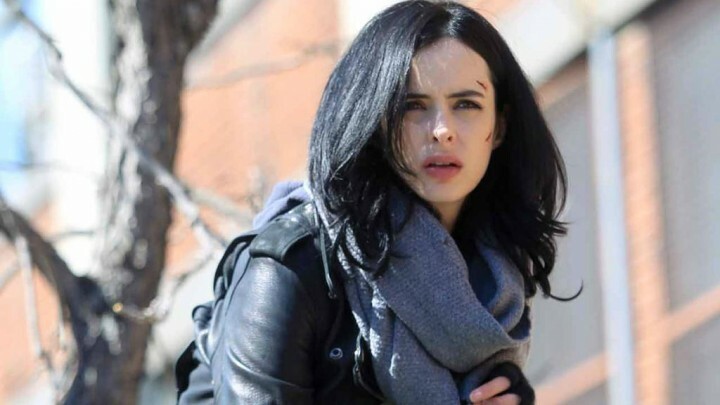 Kristen Ritter as Jessica Jones. 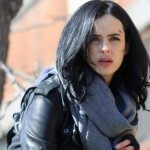 Spies have spotted several cast members of the upcoming Netflix-produced Marvel television shows, including Jessica Jones, and the second series of Daredevil. On Jessica Jones (formerly titled AKA Jessica Jones, but I guess the “AKA” bit didn’t register with the production very well), we can see star Kristen Ritter on set, while former Doctor Who star David Tennant as Jones’ nemesis, the Purple Man. Jessica Jones is set to debut on Netflix late in 2015. 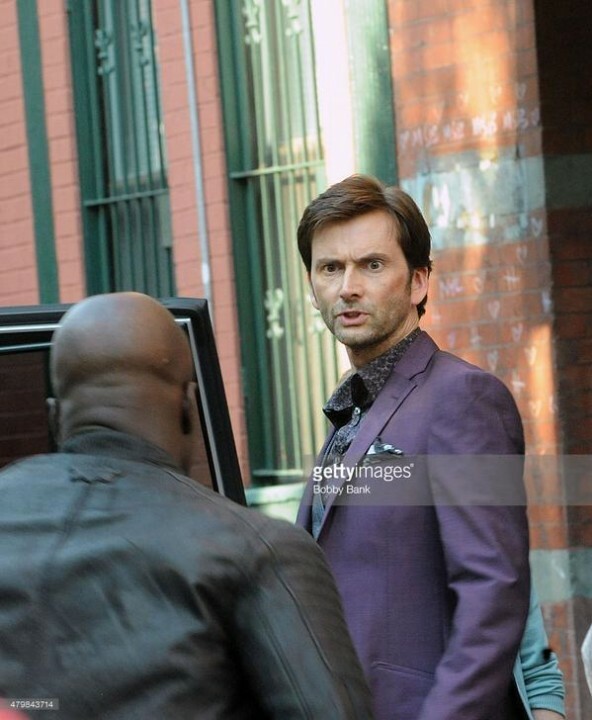 David Tennant on the set of “Jessica Jones”, as The Purple Man. (C) Getty Images. Daredevil’s first season was roundly acclaimed by almost everyone, and it was only a matter of time before the second season was confirmed, and shooting commenced. 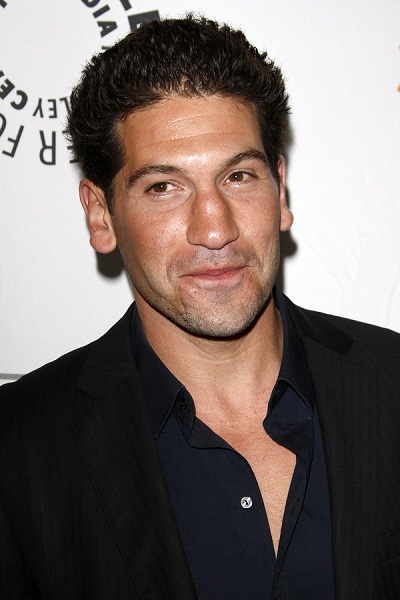 Aside from that, the largest interest has come from casting news for the next season, with Wolf Of Wall Street star Jon Bernthal to play Frank Castle, aka The Punisher, and GI Joe: Retaliation star Elodie Yung to play Elektra (a role formerly essayed by Jennifer Garner in both the original Daredevil film, and the character’s stand alone movie, Elektra), which has pleased many fans across social media. 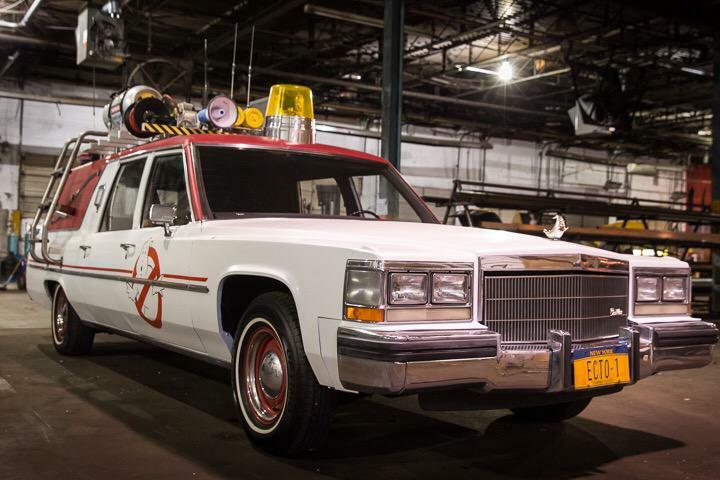 Okay, this news I’ve never been a fan of, but since a lot of you are fans of the original Ghostbusters (I am too, I’m just not a fan of the remake idea) here’s some pics released by director Paul Feig (Spy, Bridesmaids, The Heat), including a shot of the Ecto-1 (the team’s car), Melissa McCarthy in costume, and one of the energy packs used in the film. 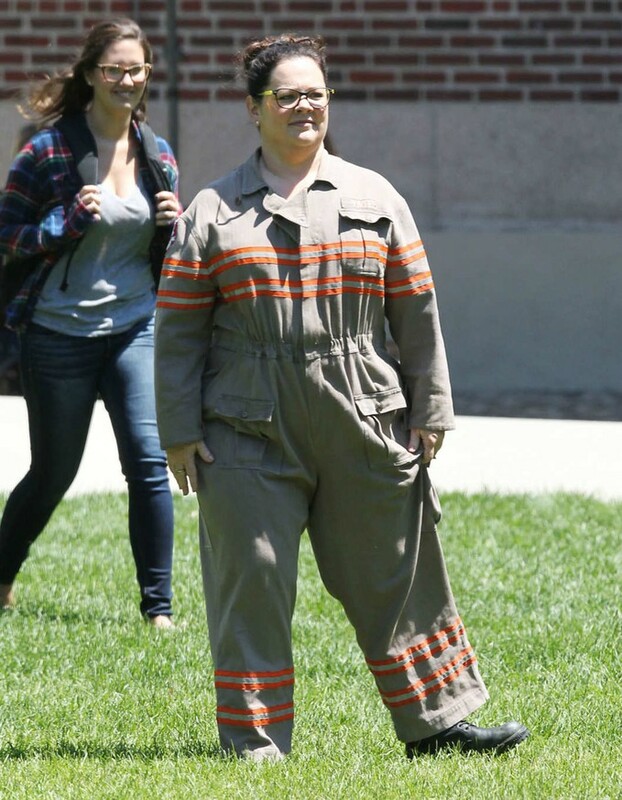 The all-female Ghostbusters seems like a stretch to try and mine collective nostalgia from fans who are heartbroken the original cast won’t come back for more, and I’ll only be convinced once I see some actual footage from the film. Still, here’s the pics I’m referring to. Although it’s been going for what seems like forever, the final installment of The Hunger Games is due to release this year (thank God). 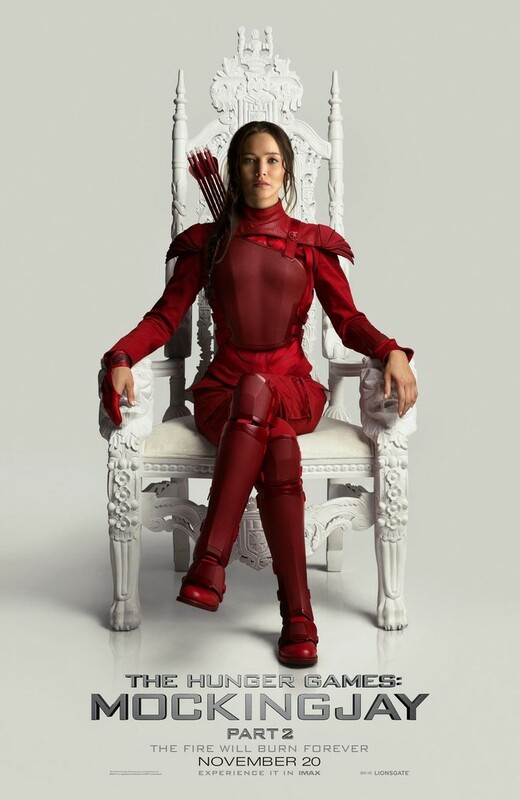 Mockingjay Part 2 will launch in November, and here’s the first official poster, with Jennifer Lawrence as Katniss in a nicey-tighty red outfit. 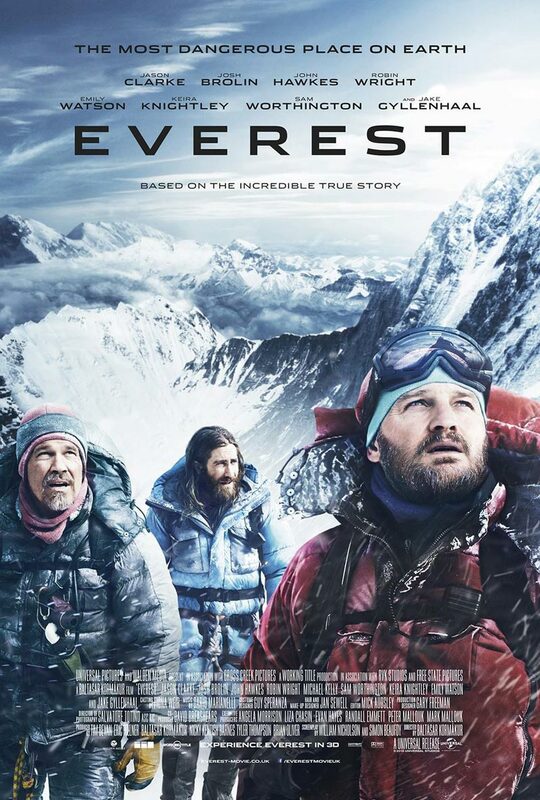 In case you missed it, the all-star adventure/action thriller, Everest, is coming soon, and here’s both a trailer, and a poster (right) for you to enjoy. The film looks absolutely breathtaking, even though it’s directed by Icelandic mediocrity, Baltasar Kormakur (Contraband, 2 Guns). Let us know what you think! 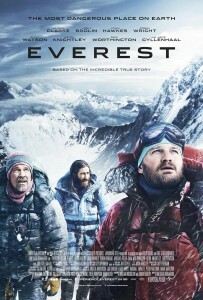 Everest will release later in 2015, and co-stars Jake Gyllenhaal (Nightcrawler), Jason Clarke (Zero Dark Thirty), Josh Brolin (Oldboy), Sam Worthington (Avatar), Robin Wright, Keira Knightley, Emily Watson and Martin Henderson.